Welcome to the Washington Parish Council’s web page. We hope you enjoy the parish web site and find all the information you need to conduct your business, whether private or commercial. Any information not found on the website may be obtained from the Administrative office (985-839-7825) or the Legislative office (985-839-7825 Ext 313). Suggestions or comments are always welcomed and may be forwarded to the Parish President or any Council members e-mail address. 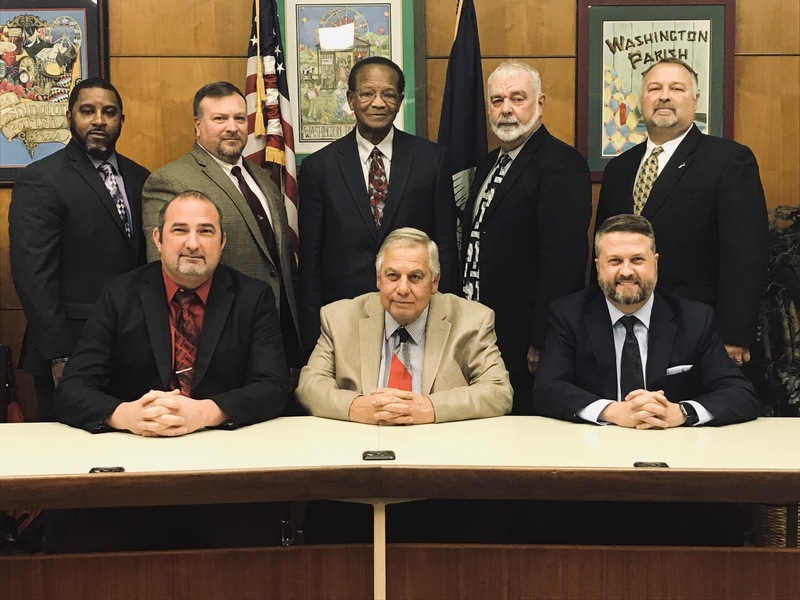 The Washington Parish Council is the legislative body of Washington Parish Government and consists of one councilman elected from each of the seven districts in Washington Parish. The council has regular meetings twice a month, generally on the second and fourth Mondays of the month at 6 PM in the Council Chambers on the first floor of the Washington Parish Courthouse in Franklinton. Each councilman serves a four year term. The council elects a chairman and vice-chairman yearly. Several committees consist of three councilmen that are appointed by the council chairman yearly. Each committee has a councilman that serves as chairman of that committee. Committees that are presently active are the finance committee, infrastructure committee, personnel committee, road committee, and solid waste committee. All committee meetings are open to the public as are the regular council meetings.